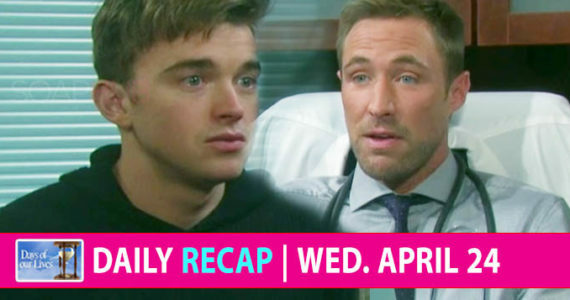 Days of Our Lives Spoilers: Shocking Moves Bring Bold Results! Shocking Moves Bring Bold Results! Days of Our Lives spoilers for September 17 – 21 reveal your favorite Salem citizens knowing what they want and willing to do anything to get it. You won’t want to want to miss a moment of this dramatic week! Marlena (Deidre Hall) is taken off life support with her family present. But rather than die, she wakes up seeming not quite herself. There happens to be a really good reason for that. John (Drake Hogestyn) and Roman (Josh Taylor) recruit Hattie to stand in for Marlena as they whisk the real ‘Doc’ to a safe place. However, the plan is put at risk thanks to Hattie as the wild card. How long will they be able to pull it off? As Roman tries to keep Belle (Martha Madison) from visiting her, it’s clear anything could happen! It’s hard to tell who is under suspicion more— Ben (Robert Scott Wilson) or Hope (Kristian Alfonso). Those around her, including husband Rafe (Galen Gering) and son Shawn (Brandon Beemer), question this new evidence found that implicates Ben in the fire that nearly killed Ciara (Victoria Konefal). After all, everyone knows Hope wants Ben far away from her daughter. Meanwhile, Ciara confronts Tripp (Lucas Adams) about his kiss with Claire (Olivia Rose Keegan), possibly pushing her even closer to the reformed serial killer. Gabi (Camila Banus) gaslighting Abigail (Marci Miller) wasn’t getting her the results she wanted so she drugs her former BFF! Abby confides more in JJ (Casey Moss) about her suspicions — will he be the one to rescue her from Gabi’s revenge plot?